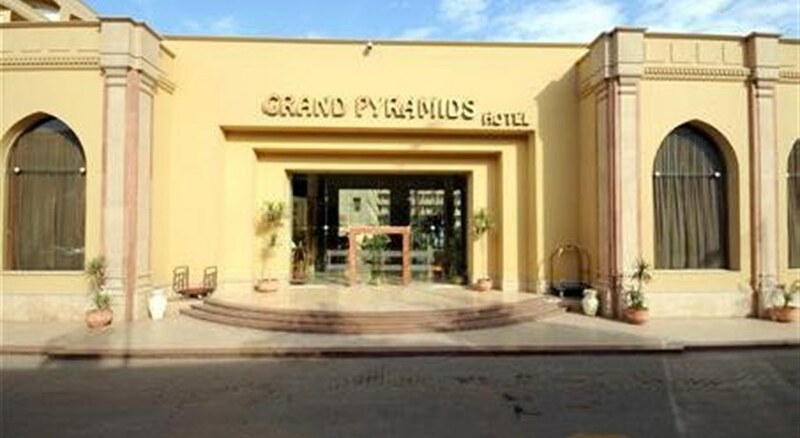 The Grand Pyramids Hotel is situated close to Cairo's city centre, only a distance of 3.5 km from Giza. This delightfully peaceful and relaxed luxury 5 Star hotel provides a haven of high quality accommodation and personalized services with fantastic facilities and activities for all members of the family. All 239 beautifully appointed guestrooms and suites provide modern amenities that will please both tourists and business travellers alike. Guests are pampered by a hospitable staff ready to ensure a relaxing holiday with a unique combination of culture, relaxation and wellness in a stunning setting near one of the Seven Wonders of the World. 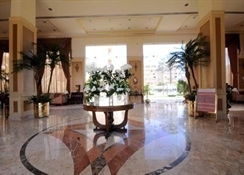 Cairo International Airport is 40 km from the hotel. Local Tips: In addition to the world renowned Pyramids of Giza and Sakkara, just a short ride by taxi will bring you to the Sphinx and many other historical sites and museums such as the Coptic Museum, the Egyptian Museum, The Citadel and The Kan El Khalili Market. Food, drink and entertainment: Bed and Breakfast accommodation with an option for Half or Full Board. There is a wide variety of indoor and outdoor restaurants with array of international cuisines, including Oriental, Italian and Thai specialties. The Lobby Lounge serves freshly baked pastries, light snacks, cocktails and wide selection of hot and cold beverage with a Pianist and Entertainment. Be sure to visit the Bedouin Tent for specialized Oriental and Egyptian Cuisine for lunch and dinner with wide selection of Egyptian specialty beverages and a Shisha corner. Please note: the all inclusive offered at the grand Pyramids includes soft drinks only, no alcohol is included. 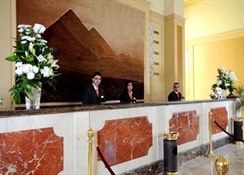 Sports, games and activities: The hotel boasts the only heated indoor pool in the Pyramids area & offers a fully equipped gym, professional massages, facial and steam room. There is also an outdoor pool and separate children's pool. 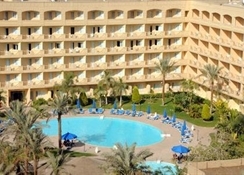 Guests can explore countless historical attractions nearby – this is Egypt! Additional: 24-hour reception, stylish and comfortable meeting rooms and outside catering for up to 250 & 800 guests with amazing events, Anniversary Room upgrade (subject to availability), Honeymoon Fruit basket and room upgrade (subject to availability). 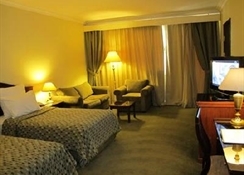 Hotel features 239 Rooms and Suites all with individually controlled air-conditioning, twin or kind size beds, hot and cold shower, remote control Satellite TV, LCD television, safe deposit box (electronic), direct dial telephone, mini bar, high speed Internet access, hairdryer, and large balconies overlooking the swimming pool and lush gardens. Room categories available are Standard Garden/Pool View or Superior Pyramids View Rooms, both accommodating up to 4 people. Free baby cot available on request. 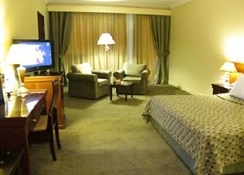 A single room rate applies for one adult plus one child or two children in their own room.